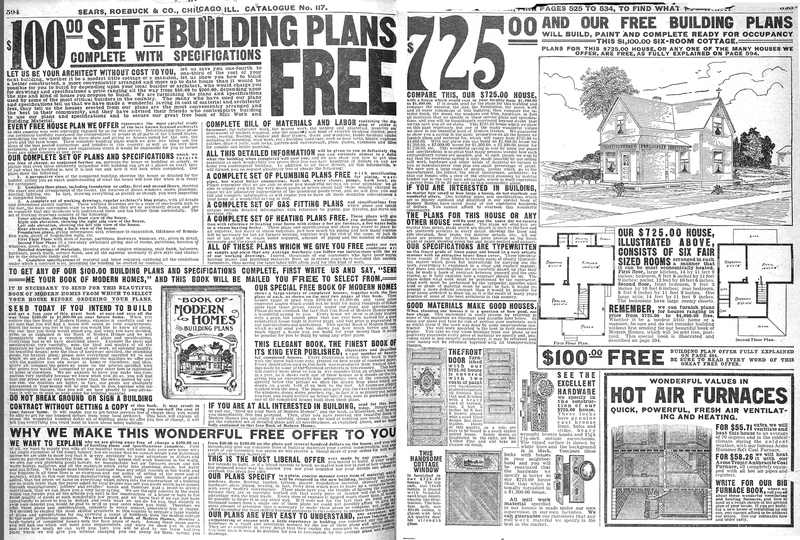 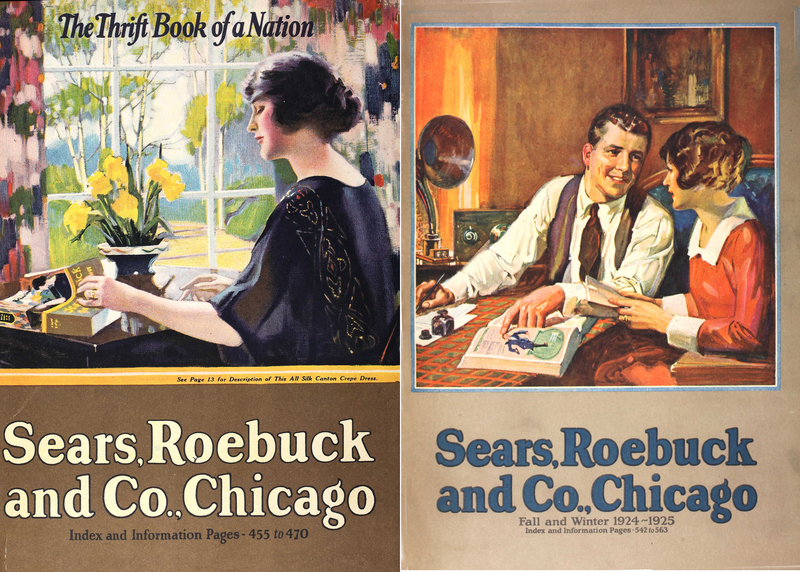 In addition to recording the changing scene in America, the Sears catalogs represent the work and efforts of thousands of Americans. 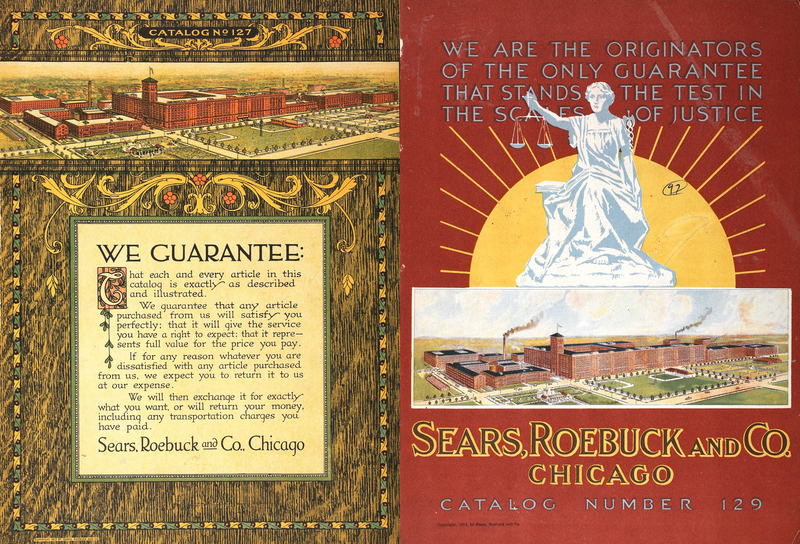 Edgar Rice Burroughs, who later wrote the Tarzan series, worked for Sears. 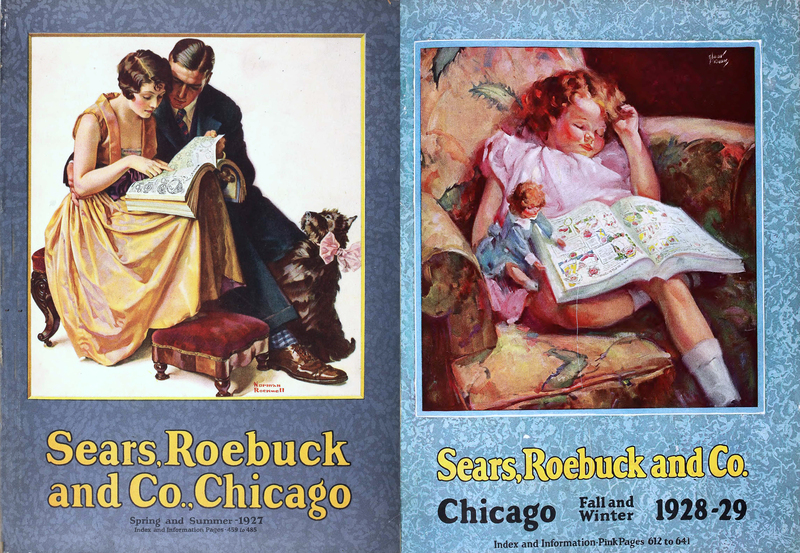 Lauren Bacall, Susan Hayward, Gloria Swanson, Susan Dey, Cheryl Tiegs, and Stephanie Powers all appeared on the pages of Sears catalogs as models. 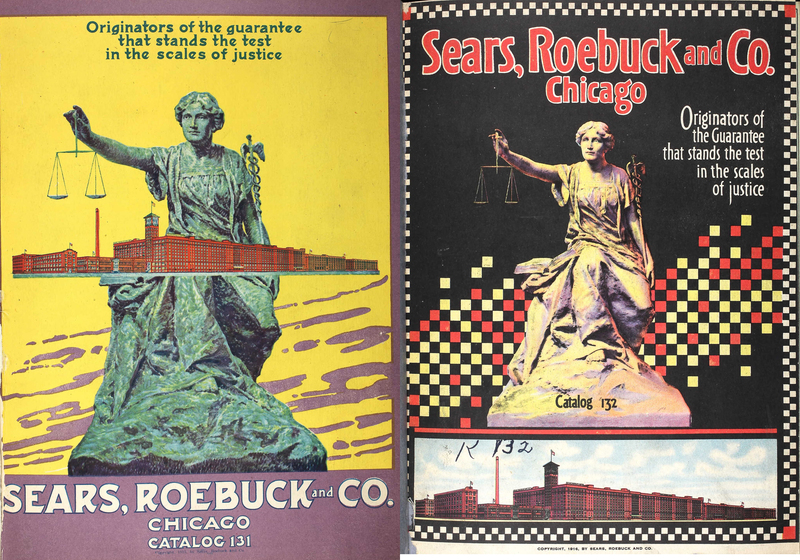 The catalogs also featured Roy Rodgers, Ted Williams, Al Unser, and Gene Autry. 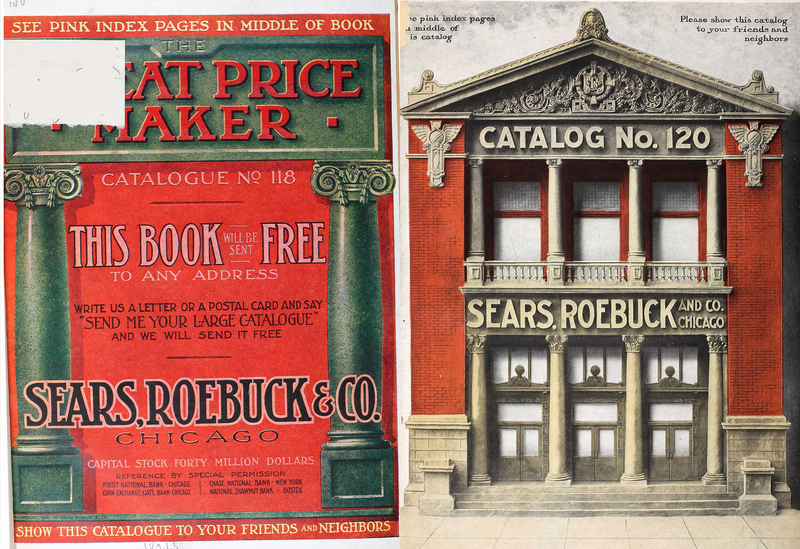 Because the catalogs accurately reflect the styles and furnishings popular through the years, producers of Broadway shows and Hollywood movies frequently refer to them. 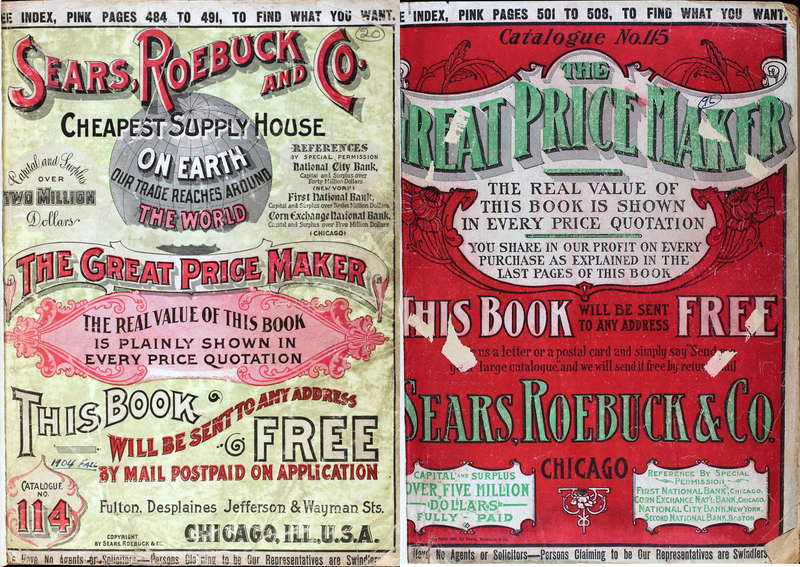 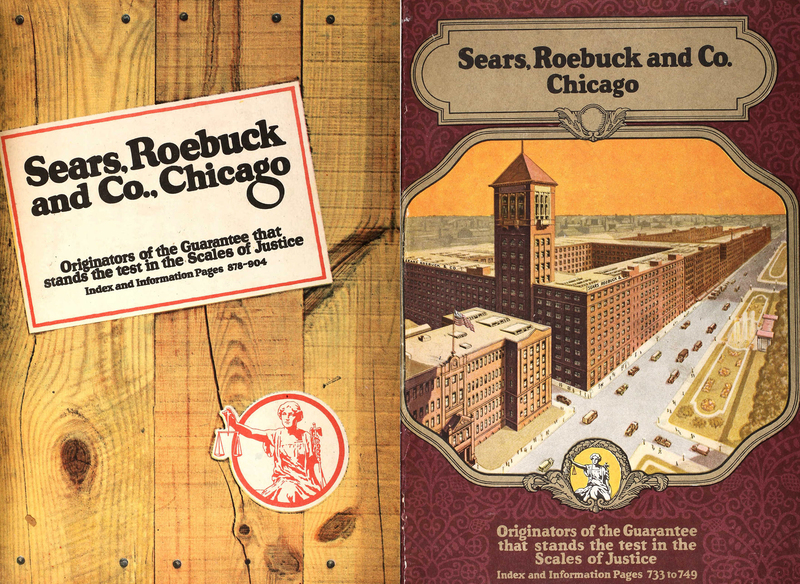 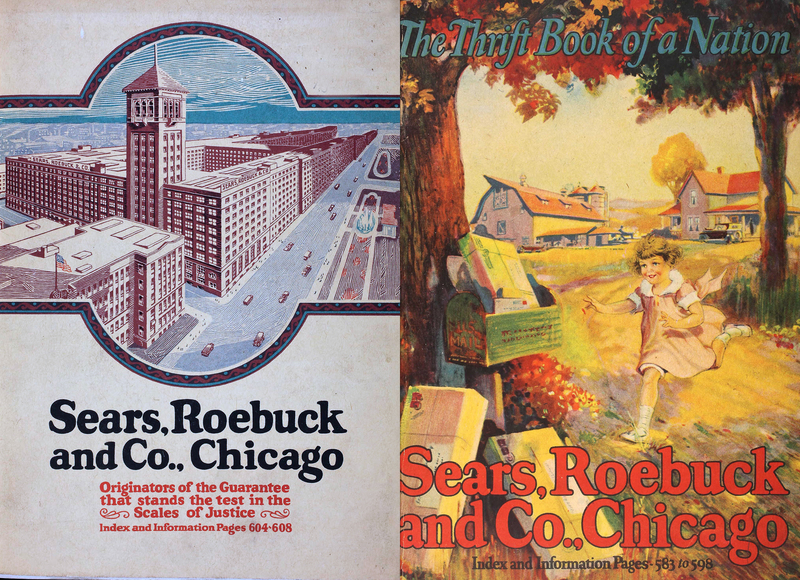 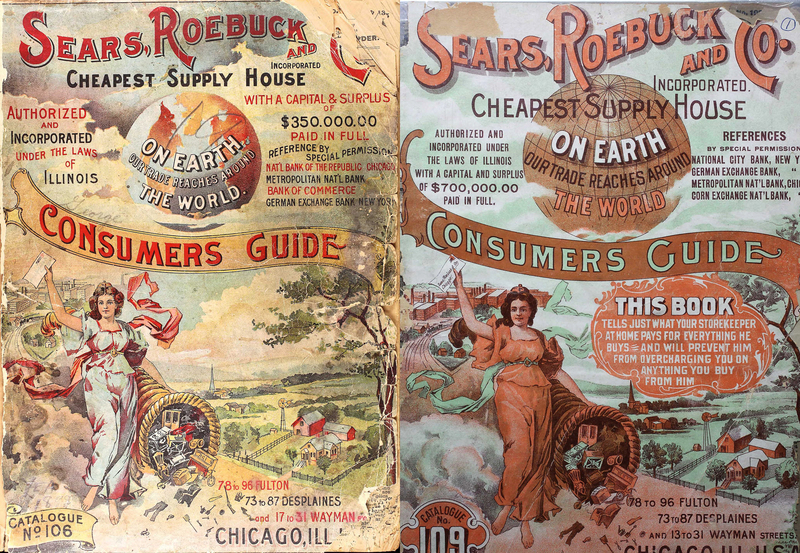 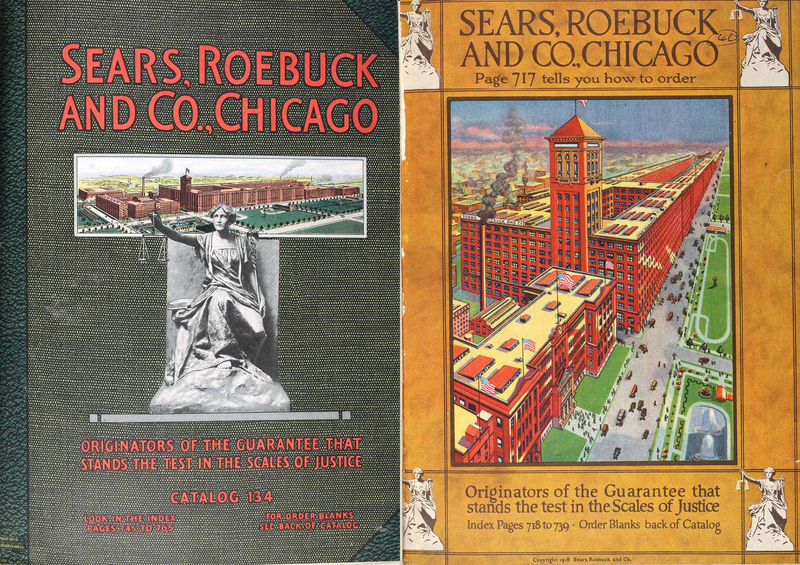 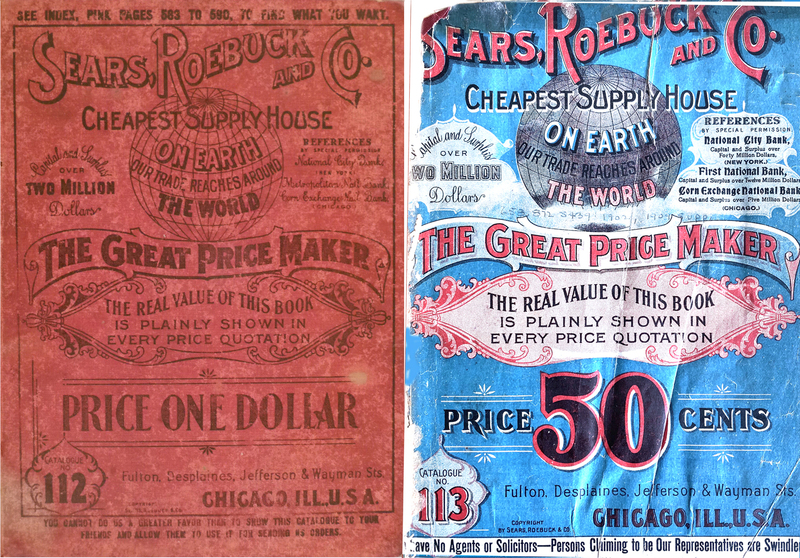 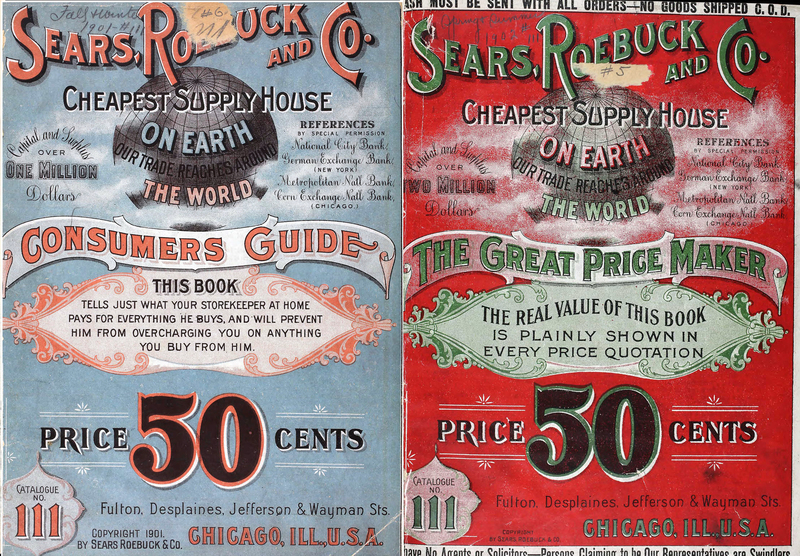 Sears issued only two major catalogs (Big Books) per year. 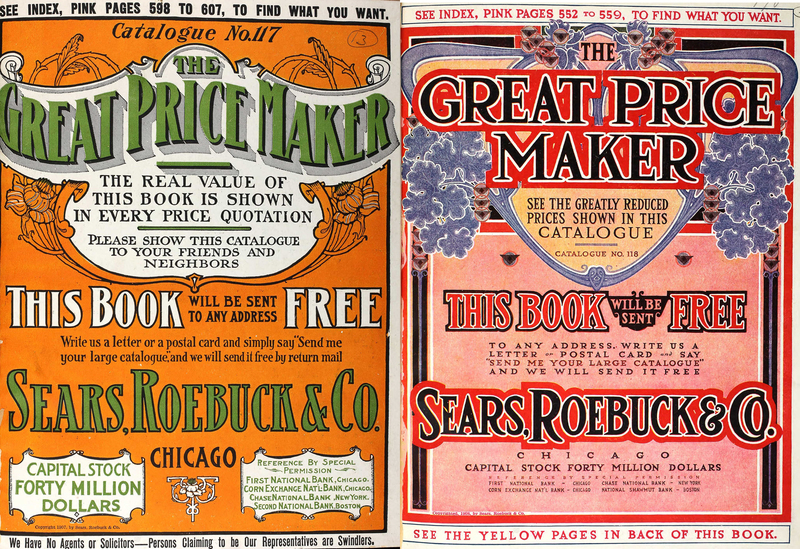 In order to keep the collection a reasonable size, only one book per year was chosen for this collection. 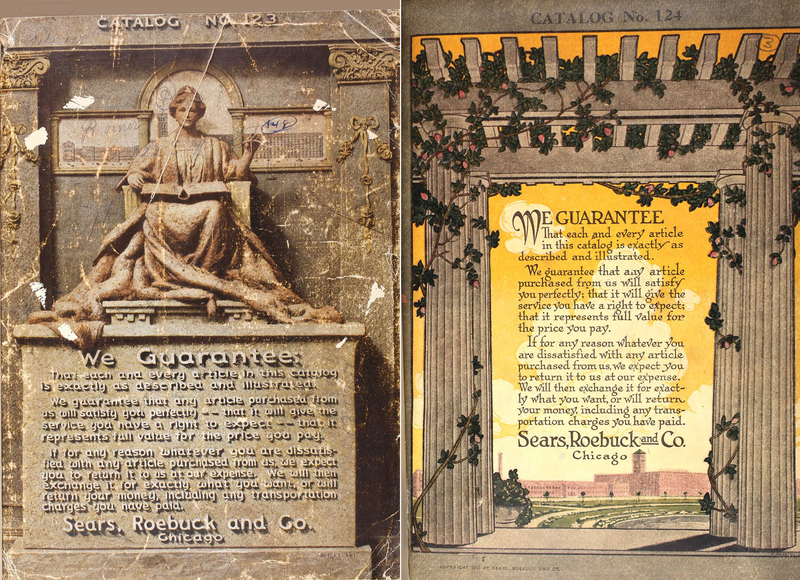 Also the basic design of the cover for the first few years were virtually identical, so those redundancies were not included either. 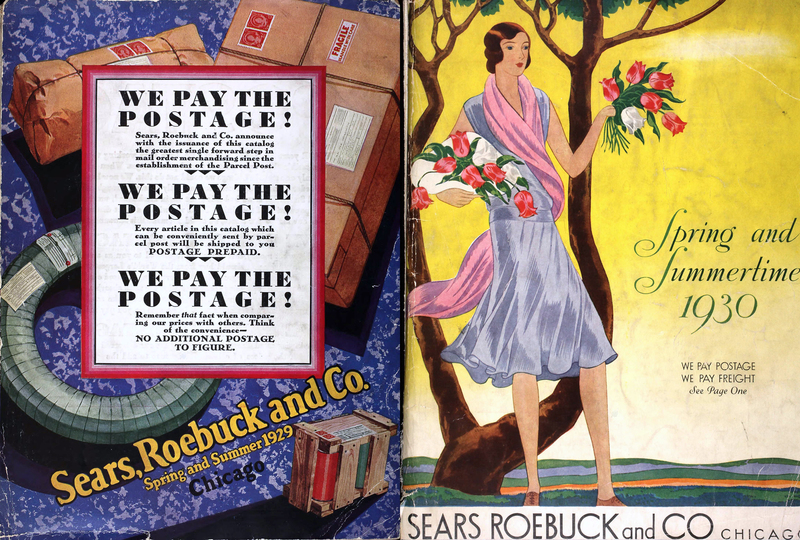 Spring 1927, Catalog No. 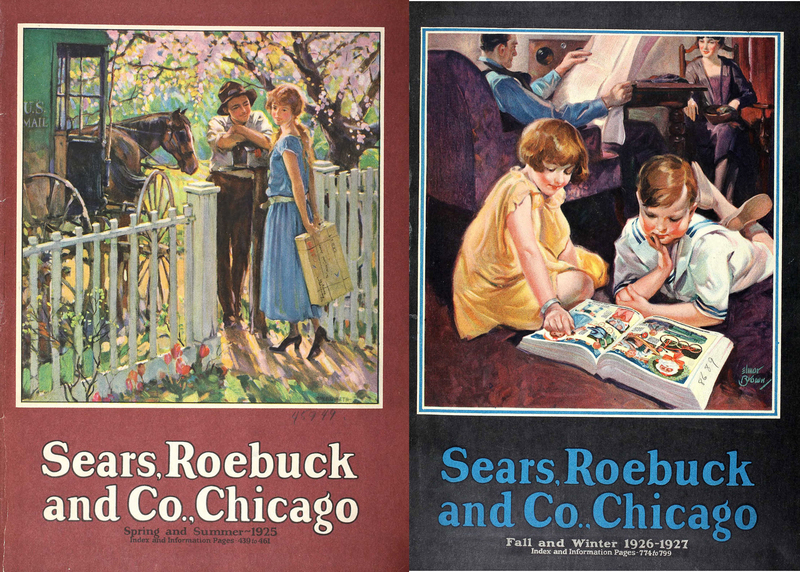 154H (First of Two Norman Rockwell Covers). 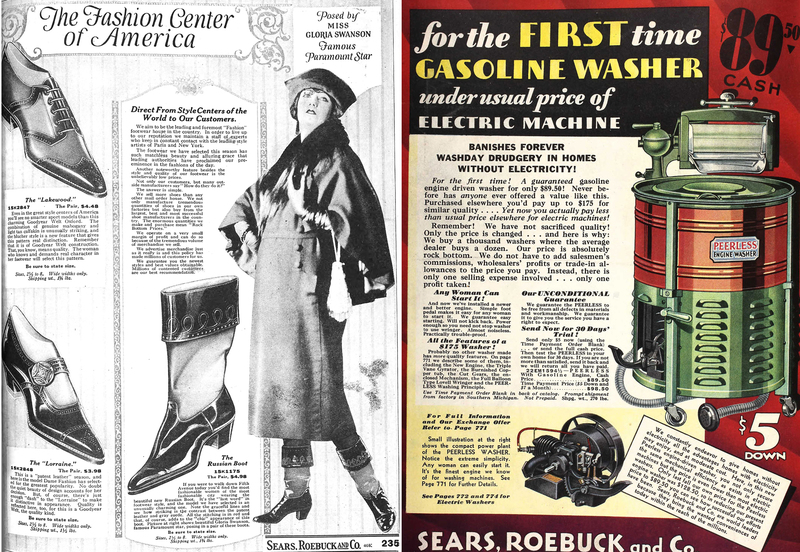 Gloria Swanson modeling Russian Boots, Sears Fall, 1922 Catalog.